Air Dynamics Mechanical Services (ADMS) is committed to keeping you comfortable by meeting your heating and cooling needs. As a third-generation company ADMS has provided quality service at competitive prices in the commercial and residential markets for more than two decades. Customers in the Lake Norman area (Huntersville, Cornelius, Davidson, Mooresville, Sherrills Ford, Denver), North Charlotte, Troutman, Statesville, Concord, and Kannapolis can rely on Air Dynamics for professional HVAC system installation, service, and maintenance. HVAC energy conservation is the foundation of our service, maintenance, and replacement programs. Residential and commercial heating and air conditioning equipment are serviced and installed/replaced by the Air Dynamics field staff, including: Split systems (condensers and indoor units) and Package systems; Heat Pumps, Air Conditioners with Furnaces, Ductless Systems, Furnaces (stand-alone), and IAQ products (humidifiers, air cleaners, and dehumidification). The Air Dynamics Guarantee is an assurance that the workmanship and customer service we provide is of the highest quality. Customer service is our focus, and we operate with a professional office staff who dispatches well-trained mechanics driving clearly marked and fully stocked trucks. Employees pass background checks and drug testing, and maintain multiple levels of certification. 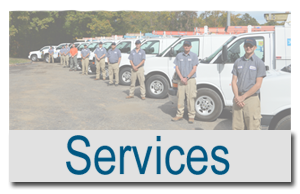 Please call for Service (all brands), Maintenance (all brands), or Sales (free quotes on system replacements).